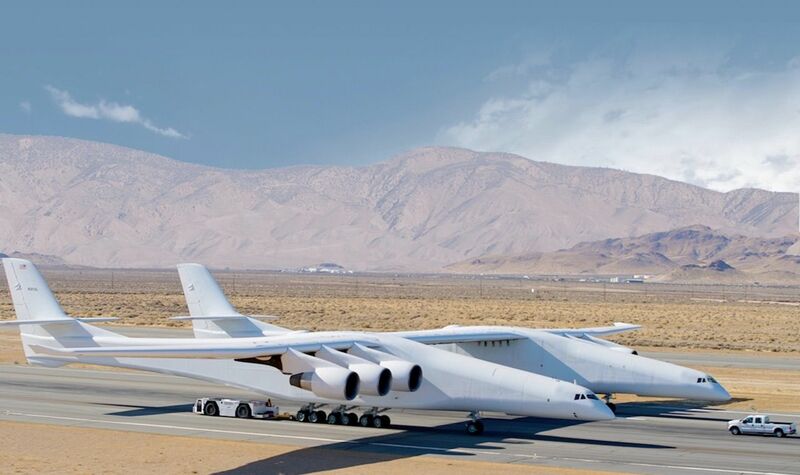 If you thought commercial jets were huge, you haven’t seen this dual-fuselage aircraft that just took flight over the Mojave Desert in California. Built by the company Stratolaunch, this 500,000-pound aircraft, with a 385-foot wingspan, is now the world’s largest airplane by wingspan. The test flight, which took place on April 13, was the plane’s first-ever time in the air, and it circled the skies for about two and a half hours before returning to the ground. No, this plane won’t be taking you on your next vacation. It was built by reassembling two used Boeing jets, features six turbofan engines, and was designed to carry rockets up to 35,000 feet, where they can then blast commercial satellites into orbit. This is considered more efficient than launching from the ground, and will allow crews to bypass bad weather that may lead to delays.